MNFC offers a wide range of wholesome, high-quality grains, rice, flours, nuts, seeds, beans, coffee, teas, and granolas. Get as much or as little as you need. We encourage you to bring your own containers. Whenever possible, we offer products that have been grown or produced in Vermont, including honey, maple syrup, several varieties of heirloom beans, wheat berries, and corn flour. Most of these items are produced in small batches and are very fresh when you purchase them. Our locally grown whole-wheat flour is one of the best flours you’ll ever find to meet your baking needs. We offer Vermont-made granola and locally roasted coffee beans. We sell spices and herbs in bulk too, and purchasing this way is an excellent bargain. If you need an herb or spice that we do not carry at the store, you may special-order it. Have you always admired the colorful towers of beans in our Bulk section, but wondered about how to prepare them? Check out this helpful chart and find out just how easy it is to turn beautiful bulk beans into delicious meals! 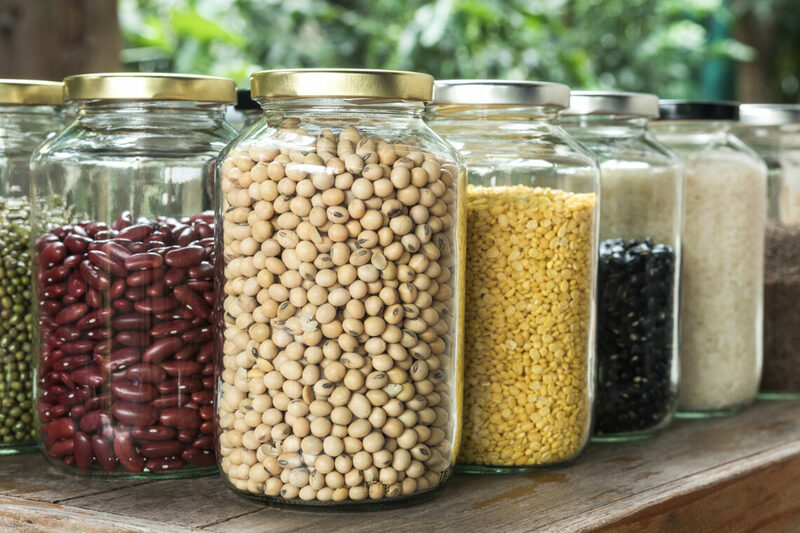 Have Questions About Bulk Foods? Not sure what item is in your bulk container?